Well thought out, well designed, well made items... This set consists of two multifunctional measuring cups, made of graduated glass. The large glass has a spout. It lets you measure out liquids up to 1 litre (graduations: 1 litre, 0.75 litre, 0.50 litre, 0.25 litre). 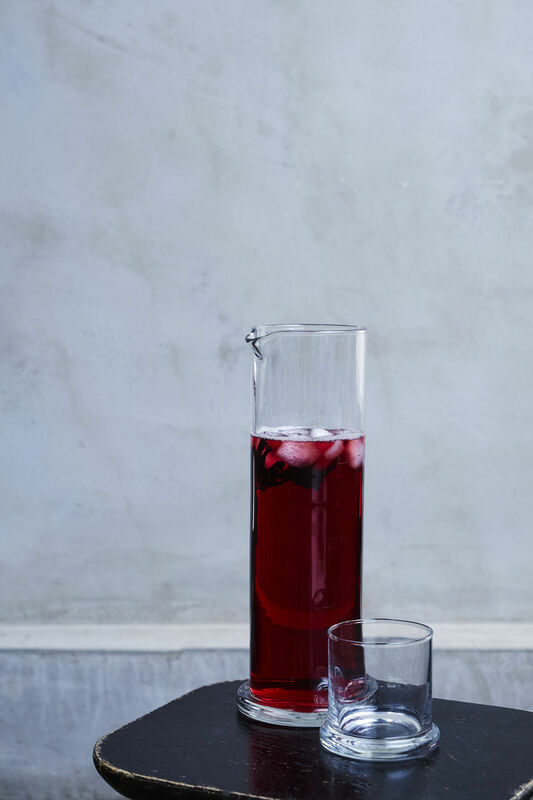 Beautiful and refined, it turns into a water or wine carafe, herbal tea pot, or even a vase. 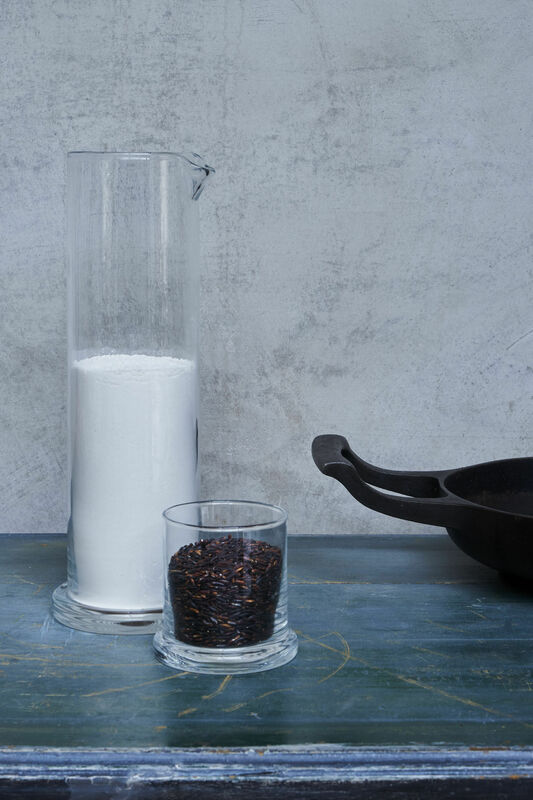 The small measuring glass measures 150 grams of rice (one portion for 2 people), 10 cl of water, 100 g of flour, 100 g of sugar. 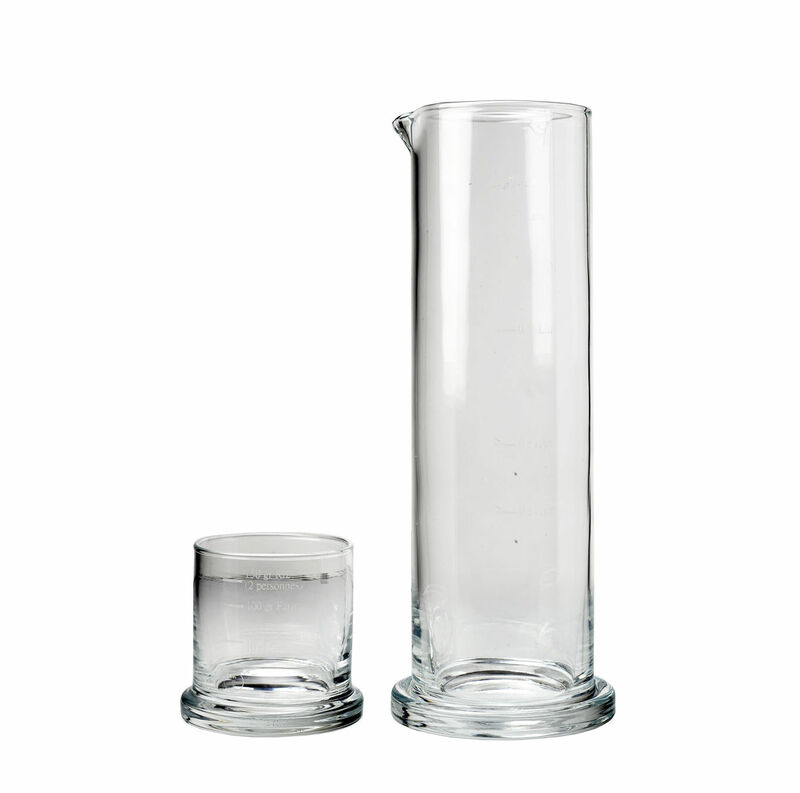 It also serves as a stopper for the large one and can serve as a water or wine glass. 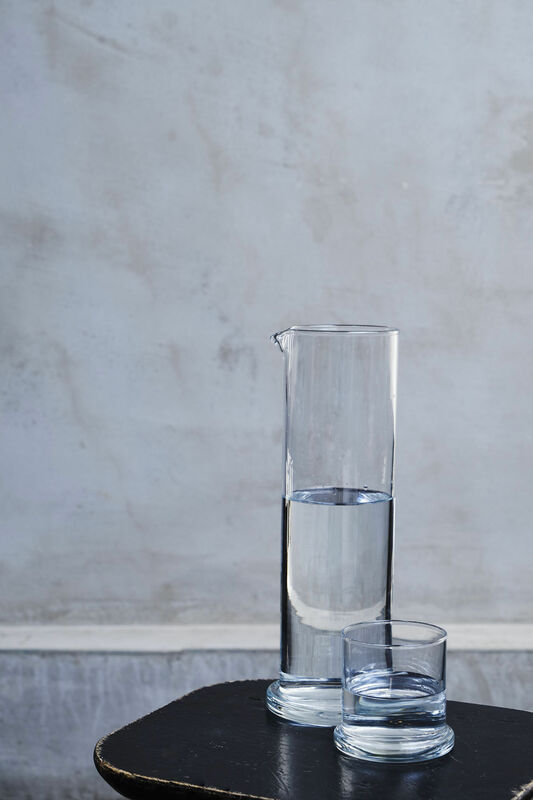 These measuring glasses are handcrafted in Portugal in hand-blown glass. The glass is heavy, and therefore stable, and its diameter is that of a bottle of wine, so it’s easy to grip. These measuring glasses are the first pieces from a collaboration with Guillaume Bardet, author of the project ''Daily use'' exhibited at the Musée de Sèvres in 2011.